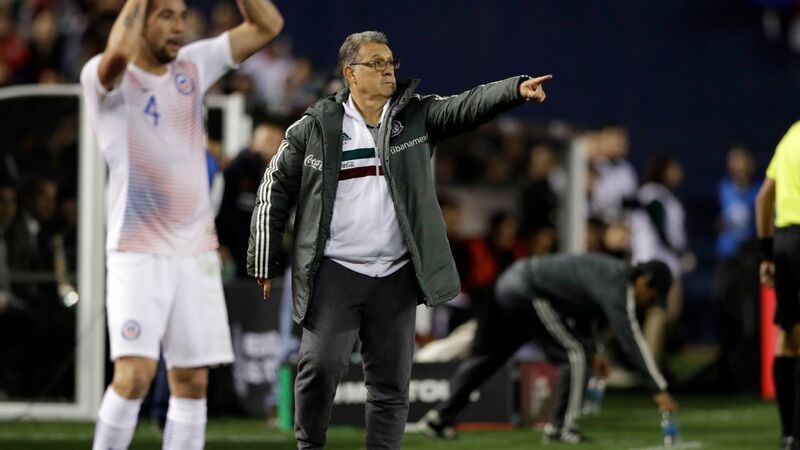 Paul Aguilar and Oribe Peralta lead Mexico to dramatic win against U.S.
Oribe Peralta got after the U.S. early and often, scoring Mexico's second goal in their 3-2 CONCACAF Cup win. 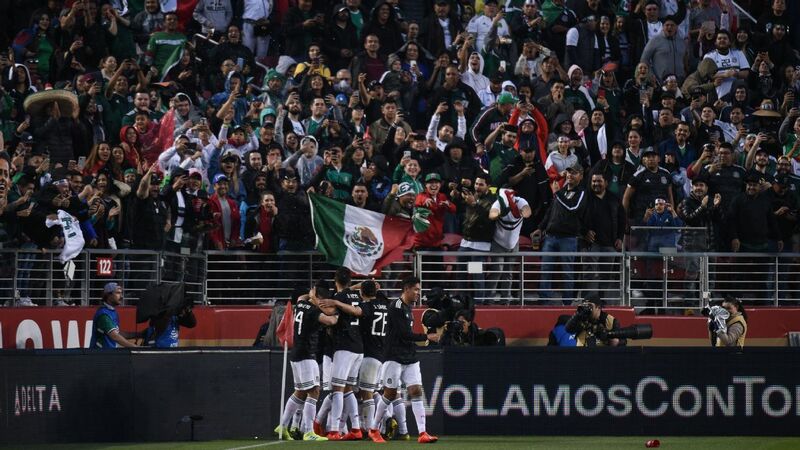 PASADENA, Calif. -- There was no lack of drama in Saturday night's thrilling 3-2 victory for Mexico against the United States in the CONCACAF Cup. A late equalizer in extra time by American Bobby Wood seemed to quiet El Tri, but Paul Aguilar responded with a fantastic goal in the dying minutes that gave Mexico the significant win in Pasadena. With Aguilar leading the ratings with his fantastic performance, let's check how the rest of Mexico's players did in their win. 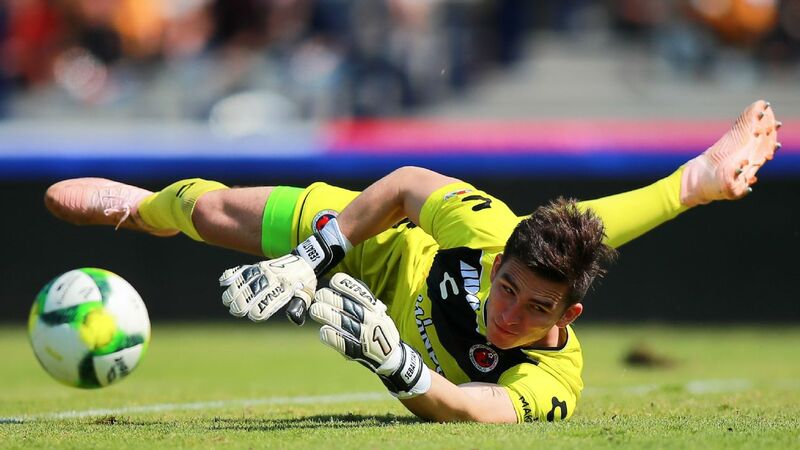 GK Moises Munoz, 7 -- Decent game from the Club America goalkeeper. 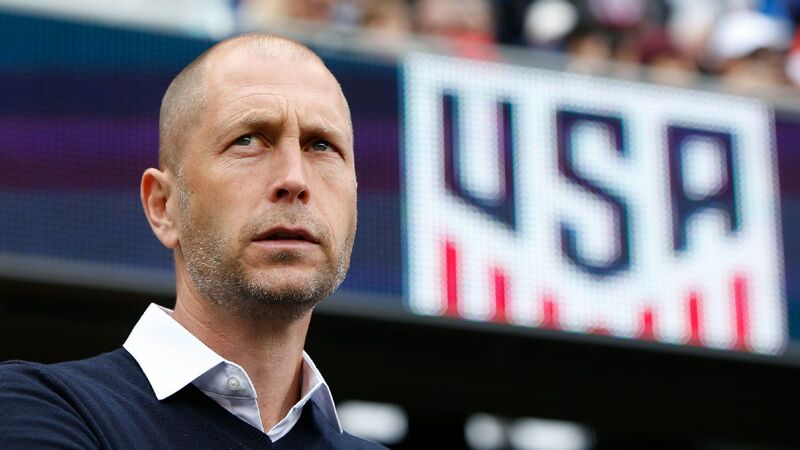 The 35-year-old was not to blame for either of the U.S. goals and had a strong presence in net. 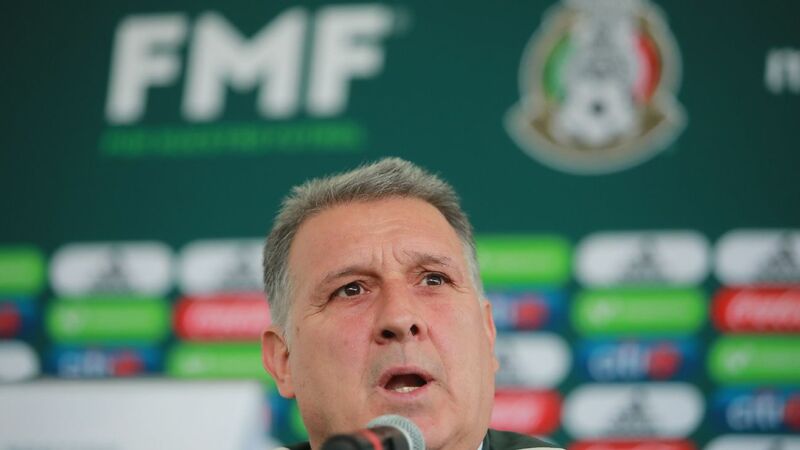 Mexico interim manager Ricardo "Tuca" Ferretti will likely be satisfied with his decision to start the veteran. DF Paul Aguilar, 8.5 -- Had many bright moments with his movement forward and then completely took control. In the first half of extra time, Aguilar made an excellent pass that led to Mexico's second goal of the game. 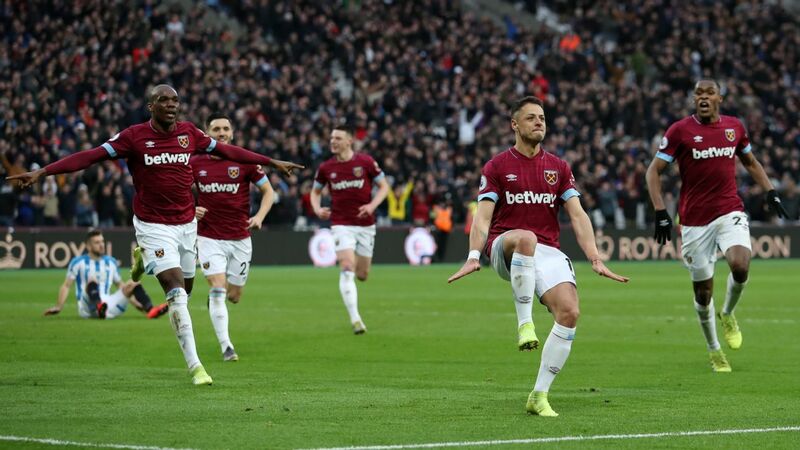 He scored a beautiful late winner. Man of the match. DF Diego Reyes, 6.5 -- Cool and calm performance from Reyes. Wasn't truly tested by the American attack until after halftime. 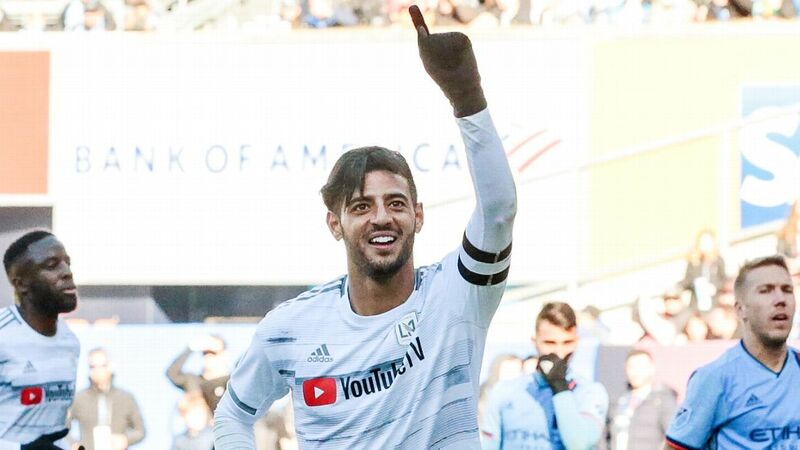 A spot as one of Mexico's starting defenders in the future is most definitely his. DF Hector Moreno, 7 -- A leader in the backline that held the United States to just one goal in the first 90 minutes. Moreno was excellent with his clearances, as well as his distribution going forward. DF Miguel Layun, 5.5 -- Quiet game from Layun. 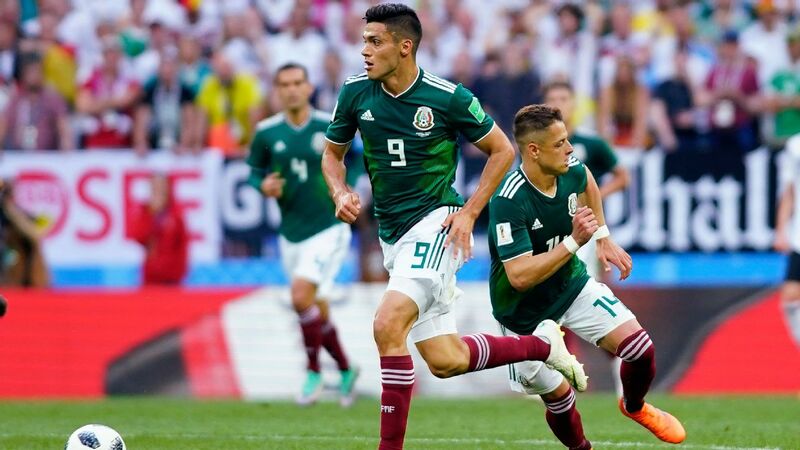 In a match filled with plenty of possession, Mexico needed a player to step up on the wings and provide exciting crosses. The 27-year-old was far too conservative with his passes and did little work in defense. MF Hector Herrera, 4 -- Mexico fans are still left wondering when the "real" Herrera will return to El Tri. The Porto midfielder has stopped taking chances when the ball comes to his feet and is no longer the threatening player he once was. 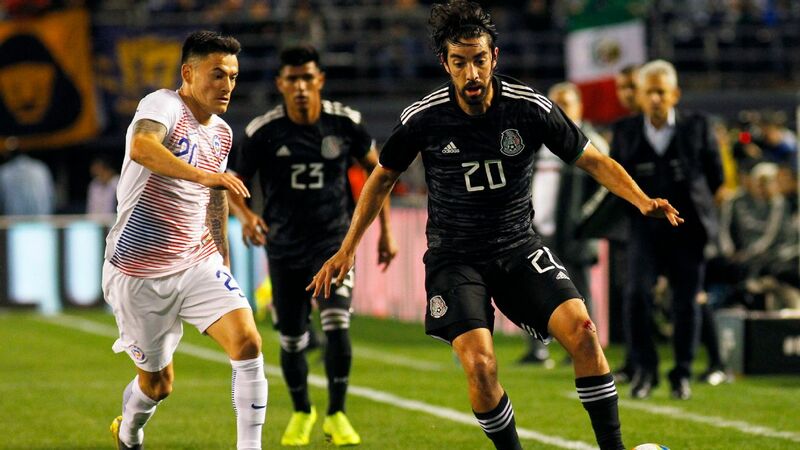 Oribe Peralta had what looked to be the winner for Mexico in extra time, before Bobby Wood equalized for the U.S.
MF Rafael Marquez, 6 -- Was crucial in his role at the heart of Mexico's starting XI. Marquez made things difficult for Michael Bradley and was constantly yelling out instructions to the rest of the players. However, after halftime it was evident that the 36-year-old had run out of energy. MF Andres Guardado, 7 -- Decent performance from the midfielder. Not nearly as dominant as he has been in the past, but he kept the Americans on their toes with his smart passes and shots. FW Javier Hernandez, 7.5 -- The 27-year-old gave his team their first goal of the night with an early attempt during the 10th minute. It looked a bit congested in his area with the two other strikers near him, but he still found plenty of opportunities. FW Oribe Peralta, 8 -- Mexico's savior in the first half of extra time. The veteran scored during the 96th minute and gave Mexico a short-lived lead in the last stages of the match. Worked well with Hernandez and Raul Jimenez on many occasions. Provided an assist to Hernandez on the first goal of the match. 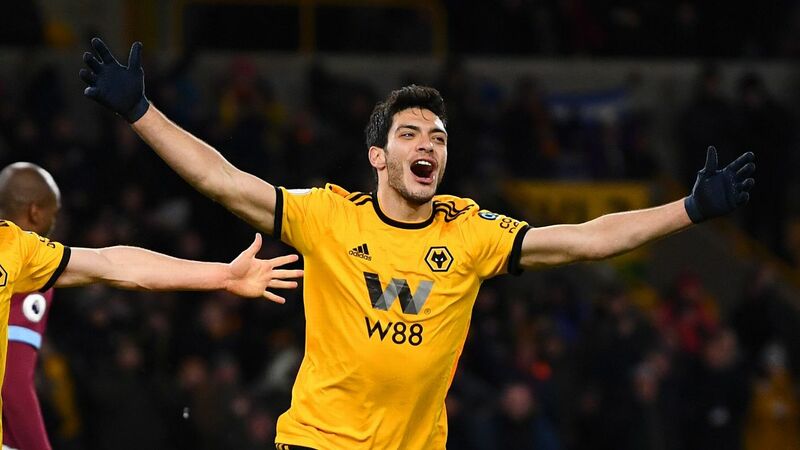 FW Raul Jimenez, 7 -- One of the hardest-working players on the pitch. 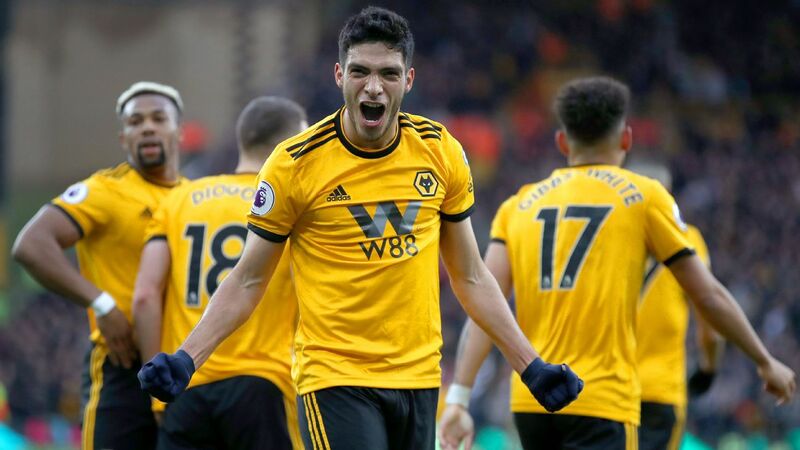 Jimenez was constantly sprinting around the final third and finished the match with one assist in hand. DF Jose Arturo Rivas, 4 -- Was substituted on for Marquez during the 76th minute. Couldn't do much to contain the American attack that appeared to be constantly running past the player. Things could have become much uglier if he was given more minutes. MF Javier Guemez, 5 -- Was substituted on for Guardado during the 80th minute. Guemez did plenty of scrappy defensive work in the middle of the pitch but appeared just moments away from giving away an unnecessary foul. FW Jesus Corona, 7 -- Was substituted on for Hernandez during the 98th minute and was an immediate threat. 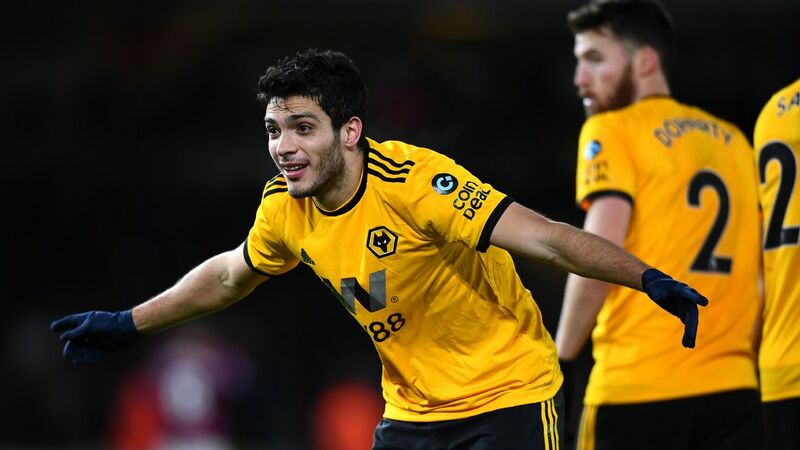 He didn't have enough time to truly make use of his skills and attacking movement, but he nearly had a goal late in the match.